Sadly, screenshotit’s time to say goodbye to an iconic symbol of London. The last double-decker bus retires today from its long years of service to the city. The red buses, which allowed passengers and mischievious boys hop on/hop off privileges, may be gone, but they will never be forgotten. 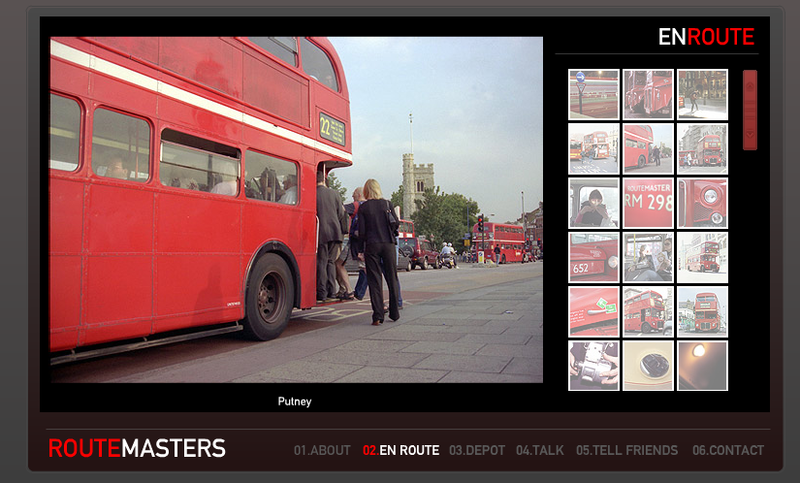 Through a selection of lovingly detailed photographs, this site celebrates the classic Routemaster. The drivers, the conductors, and the public who ride all appear in this tribute to the much-loved mode of transportation. Though the vehicle’s retirement may be controversial (81% of Londoners wanted them to stay), sites like this will help keep our memories alive of the red Routemaster, that shining star of London tourist postcards and photos.